By now, it’s generally accepted that branding is a good and necessary foundation for marketing your business. And while the average consumer might not understand why they refuse to drink only Smartwater, Starbucks coffee, or Patrón tequila, we can all concede—obviously, branding works. So how did these companies do it? Are consumers really purchasing from these companies because they offer the best product? Is it the fancy packaging? The advertisements? In fact, it’s something much deeper. All too often we confuse a brand with a product, logo, or slogan. However, a brand is actually better defined as a unique set of values and characteristics that we’ve come to assume about a company. I promises a specific delivery of something far deeper than a tangible product. 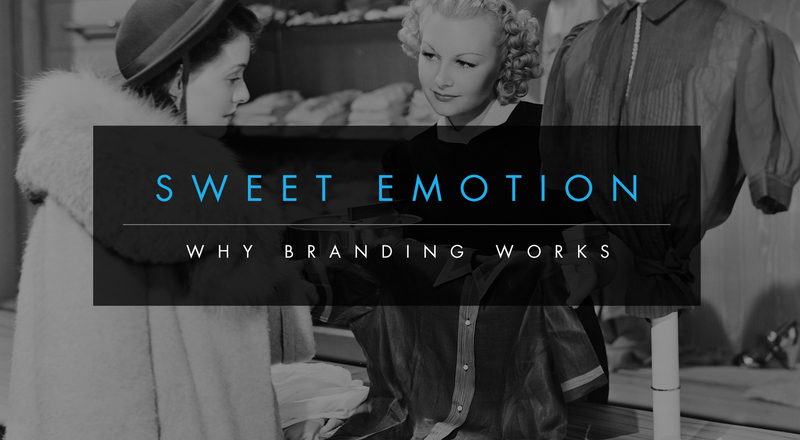 When branding works it is a silent contract for the fulfillment of a desired emotion. If you think this sounds too far out, simply stop to analyze what a consumer is really expecting when they shop. If a consumer is purchasing home owner’s insurance, is the end goal simply a document? No, they are buying peace of mind. How about makeup? The consumer is likely counting on some form of self-expression, confidence, or artistry. Even something as lifeless as frozen lasagna is selling busy householders the relief of extra time and the comfort of a home cooked meal despite their hectic schedules. So why does this approach work so well? To break it down simply, by creating and communicating a desirable persona surrounding a brand, a company allows its consumers to build assumptions concerning their products or services. The more consistently these expectations are met on a subconsciously emotional level, the more a consumer begins to trust the company, ideally resulting in absolute brand loyalty. And while the average consumer might bristle at such a blunt and invasive strategy, the brilliant thing about this evolution in marketing is that companies are now forced to be better in tune with a consumer’s needs and are continually striving to offer them more of what they’re looking for because branding works. So rather than feel cheated for buying a five dollar cup of Joe, the consumer received exactly what they wanted—a latte with social status and a dash of mobile-ordered convenience. Because yes, even coffee is more than coffee.